The opening line of Liz Nugent's second novel packs a punch. The reader gets a glimpse of what is in store and the story starts off with a sprint. 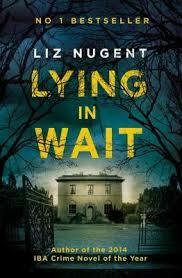 Liz Nugent has written a novel like a game of chess. There are black squares and white ones. There are Queens, who appear to be less powerful than Kings but are behind a lot of the major game-plans and there are pawns, being sacrificed to increase the mobility of others. The juxtaposition between the characters has real clarity. Lydia's delusional approach to motherhood is carefully balanced with her son's battle with self-esteem and assertiveness. Andrew's meekness is most unlike his mother's cutting way. Annie Doyle and her family are the polar opposite of the middle-class Fitzsimons and their reaction to loss is unlike anything that Avalon has ever experienced. But what makes Lydia the way she is? Why is Lawrence so submissive? How many secrets does Avalon hold within its walls? Can a person have all bad blood flowing through their veins, or is there an inherent reason for their disturbed state? Can Lydia inspire some sympathy from the reader when they consider the bigger picture? Could Lawrence benefit from a large case of the 'wake-ups' that he so obviously needs. or is it too late? Annie Doyle could be any young woman in the 1980s who had difficulty in school and was always heading down the wrong road. How different her life was to the sheltered one that Lawrence led, yet they both had their demons. 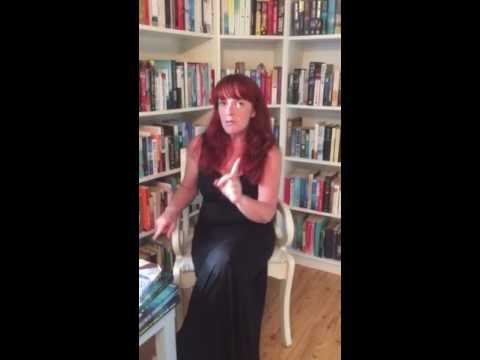 From the winner of the Irish Book Award for her Crime Thriller, Unravelling Oliver, comes a tale of two families, two different paths and one interlinking event. It is slow and steady, with an almost gothic feel, with Lydia reminding me of the legendary Mrs. Danvers from Daphne du Maurier's Rebecca. There is a chill in the air, from page one, and the creepiness unfolds via alternating characters, one chapter at a time. Just when you think you can guess where it's all headed, you are spun on an invisible axis and are taken off in an alternative direction. This is an author who can show how madness and matriarchy are two subjects that can be mixed together with great effect. Spine-shivering in its subtlety.